This is a rectangular Member Poultry Producers porcelain sign. This particular Member Poultry Producers sign is blue with white text. 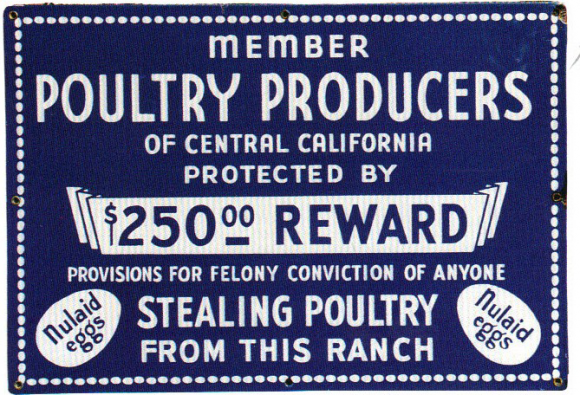 It reads, “Member Poultry Producers of Central California, Protected By $250 Reward, Provisions For Felony Conviction of Anyone Stealing Poultry From This Ranch, Nulaid Eggs” and features a white dotted border.